Granulation is a process of transforming the powder particles into ideal, uniform and porous spherical articles. The powdery particles are annulus fluidized in the material container of the fluidized granulating machine. Some particles form into pellets containing adhesives after being mixed and preheated by purified heating air and mixing with atomized binder solution. Being dehydrated by the hot air, the water evaporated from the pellets and the adhesives freeze. 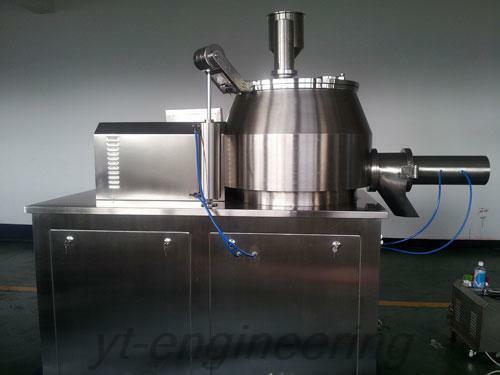 FL fluidized drying granulator is widely used in producing tablet granules, granules and capsules granules in pharmaceutical industry and for cocoa, coffee, milk, juice of granule, and flavoring in food industry. Additionally, this fluidized granulating machine is suitable for palletizing in pesticides, fertilizer, pigment, dyestuff as well as coating granules, pill protecting layer, available colors, release, film and enteric. 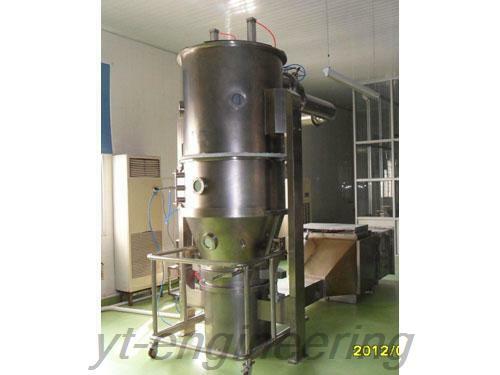 1.FL fluidized drying granulator through powder granulation improves the mobility and solubility as well as reduces the flying dusts. 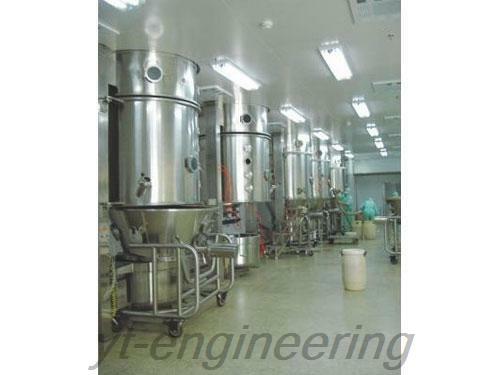 2.The mixing, granulation and drying can be completed in the same fluidized granulating machine. 3.The antistatic filter cloth is used to ensure the security of equipment operation. 4.This fluidized drying granulator adopts pressure relief holes to ensure the safety of the facility and staff in case of the explosion. 5.Our fluidized granulating machines are without any dead angle as well as easy to load and unload materials. 6.This granulating equipment is easy to wash, conforming to the GMP standard. 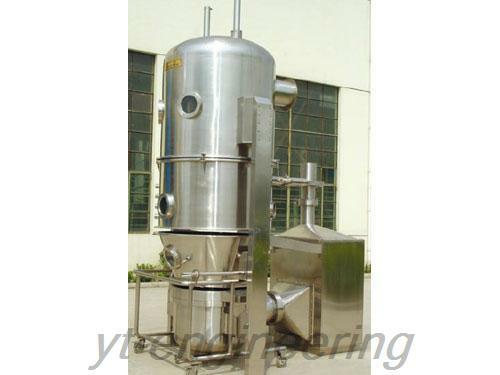 Yutong Company specializes in designing and manufacturing fluidized drying granulator in China. Besides centrifugal spray dryer, Yutong also provides belt dryers, hot air oven, vacuum drying machine, mixing machine and fluidized granulating machine. The products have obtained several national patents and we have powerful research and development as well as innovation capacity. 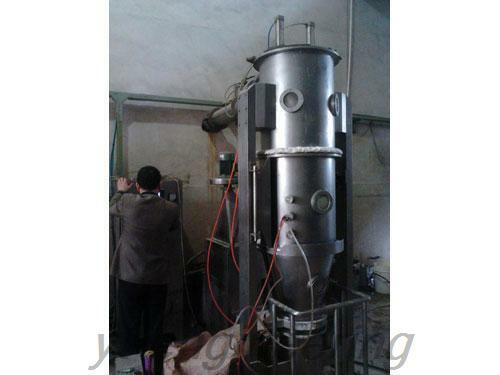 Additionally, fluidized drying granulator must undergo a trial run in the workshop, and only those qualified products are allowed to leave our factory.